Abstract: Digital technology has revolutionized private industries and brought significant gains in productivity and efficiency, and promises to significantly change European societies. But where are the major societal solutions? Through examples taken from smart cities and the future internet technologies for healthcare, this talk shows which solutions are making it into society, and talks about the major barriers to innovation in place in today’s society. Solutions in pilot or implemented in major cities in Europe and globally are used as cases to illustrate how the market is maturing, and how the digital services are changing the society we live in. Jakob H. Rasmussen is the Chairman of Living Labs Global, a non-profit research organisation working to bridge supply and demand for digital solutions to major problems in society. Dr. Jakob H. Rasmussen has been part of developing communities such citymart.com and fistarcommunity.eu, concerning with digital solutions in cities and healthcare, respectively. Dr. Jakob H. Rasmussen has been a special advisor to European Commission, founded several start-ups in software and artificial intelligence, and has worked in the global IT industry for many years. Abstract: Agile offers us the insight that software development is easier in small teams of highly skilled individuals, working at the same location and with full involvement of the customer. In an industry dominated by global corporations is this though a recipe for success, or simply a wish-list of circumstances in which life would be simpler? In this session we will critically examine some of the more bold sounding claims of Agile protagonists while asking ourselves the question “is Agile in any sense in conflict with a rigorous application of requirements engineering, and if so how might this conflict be resolved?”. Gareth Rogers has worked for a number of years as a consultant at communications providers across Europe and worldwide. He is currently Solution Designer at 1&1 in Germany, where he specialises in requirements engineering and solution design of software-based systems for the telecommunications business. Since 2013 Gareth has been a supporting member of the IREB (International Requirements Engineering Board), contributing and reviewing articles for the IREB magazine. His areas of special interest include the appropriate use of requirements modelling techniques as well as RE within Agile projects. Abstract: As requirements engineers we have tons of great books to read, interesting blogs to follow and helpful courses to attend with loads of theory and best practices but still we see a lot of IT projects fail to satisfy customer needs. In this session we will talk about our experiences in our day-to-day business as requirements engineers the obstacles and impediments we are facing in classic as well as in agile projects and discuss how we can get over them. Jessica Emma Clark studied computer science at Leibniz University of Hanover after training as a Management Assistant in IT-Systems at Deutsche Telekom AG. Since 2012 she works for T-Systems on site services GmbH as a requirements engineer in Wolfsburg and sometimes wonders how theory and practice differ. 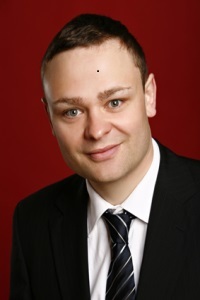 Martin Lorek studied mathematics for business and finance at Carolo-Wilhelmina University of Braunschweig. After working as a freelancer he joined the T-Systems on site services GmbH in 2011 and works as a requirements engineer, business analyst and coaches agile teams in requirements engineering. Abstract: Model-Based Systems Engineering (MBSE) is the application of modelling techniques to support the systems engineering activities, which include the analysis and the development of requirements. MBSE shifts the nature of representation of systems from prose forms to explicit (and theoretically unambiguous) data structures and representations, with expected benefits such as improvements in quality and communication, costless traceability and increased productivity. This talk will briefly present the MBSE approach for rolling stock at Alstom Transport and discuss about requirement-based vs model-based approaches. A return of experience on the deployment of the MBSE approach will also be presented as a conclusion. Hugo Guillermo Chalé Gongora is currently acting as System Engineer at ALSTOM Transport RS, where he supports the development and the deployment of model-based systems engineering. He has over twelve years of experience in the definition and tailoring of SE processes, methods and tools for product design. His topics of interest include safety-critical systems, formal methods, architecture description languages and, most recently, autonomous systems and product-line engineering. Dr. CHALÉ is the co-chair of the INCOSE Product Line Engineering Working Group and former co-chair and promoter of the INCOSE Automotive Working Group. Abstract: Every software project starts with an idea, a pain point or other challenges to be fulfilled. Especially when the outcome has a user interface, positive user experience is often not exactly covered in classic RE. We believe that it has become more and more necessary to focus on the visual result of the application, software or website while being within development rather than at the end. The costs of change requests or dismissed results at the end of huge development phases are killing every project – on a monetary and user experience site. To prevent projects dealing with user interfaces from delivering a weak result and user experience, we developed the idea of visual application design. We set up an agile process from day one in the project that follows the user centered design process as a bridge between requirements engineering and user interface design. We report on our experience with visual application design and show that our approach delivered great results, a high acceptance, and integration on the stakeholders site. 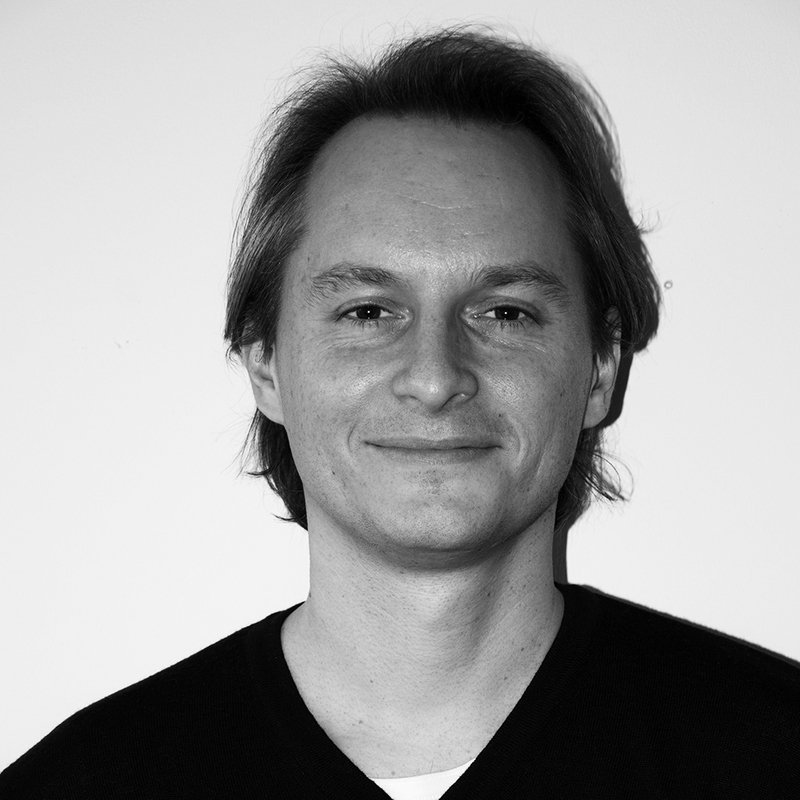 Nils Königshofen joined the adesso AG in Cologne as a Web Creative Expert (Consultant) in 2012. He started his career in the 90`s in classic marketing agencies before he joined the digital internet market on agency site. Since then he focused as a project manager and consultant on digital strategies and usability. Abstract: Why do vehicle functions exist which are superfluous or not useful to the customers? Customers come to this conclusion time and time again, due to vehicle function failing to have the desired effect. This can be explained by the fact that the achieved effect is not the top goal of development and the derivation of the requirements therefore doesn’t follow. On top of this, there usually isn’t an explicit customer order to develop a special vehicle function and this influences several connected systems. This contribution should present a concept that uses the effect of a vehicle function as the most important development goal and develops the requirements for the vehicle function and the test environment through a context analysis. Torsten Ronneberger studied computer science at the University of Applied Science in Zwickau. 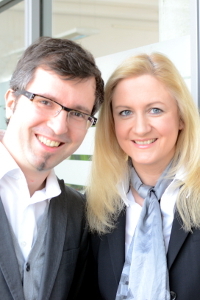 He works as a technical development strategist at Audi AG. When he’s not occupied with this, he spends his time researching the optimization of requirements in the engineering phase of vehicle function development. Besides the development of vehicle functions in series projects, he has also gained experience in different research projects, such as simTD and e-performance. His research focus is currently on effect-based requirements engineering to increase customer benefit.